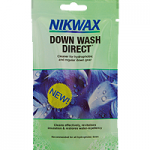 Still Available: Answer 5 questions to win a free 100ml sample of Nikwax Down Wash Direct. There is a clue option for each question to make the quiz easier. You can get one sample per household each two months. Pharpoint making it incredibly easy to get a new PharPoint shirt. You can qualify for a shirt in one of two ways, please see their sign up directions. You will need a twitter account for this one. We try to include only offers here that are just a quick signup but heck, this is for a free t-shirt. Get a free sample pair of our Medex ADR Circulator Moderate Socks (15-20mmHg). Supplies are limited. First come, first served. Colors will be chosen at random. This one is for the proud women out there. Fill out the short signup form to receive a free Preggonista t-shirt by mail. Hurry, these probably wont last long. Parents – Sign you child up for Eastern Michigan University’s Kids Club and snag them a free t-shirt, lanyard, baseball card, and more. To request a free Heinz Ketchup pin you must first select “americas” and fill out the form. When you get to box 14 request a free Heinz pin.